The Car Mat Company - Fiat Bravo (2009-2014) Custom Car Mats are 100% tailored made to order with the option to choose between 4 different grades of premium carpet which have a non-slip granulated backing to help eliminate movement within the foot well, and also available in our high durability PVC option. Every boot liner includes all necessary fixing clips needed to secure the relevant boot liners in place (where applicable). 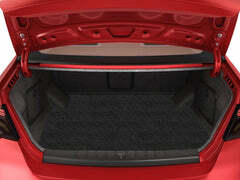 At The Car Mat Company our Standard UK courier service delivery is free on all purchases over £24.95. Unfortunately we cannot offer international shipping. You will receive your tracking details via email on the day of dispatch.